Hello and welcome! Last time I posed the question… Uluru is it just a big rock? I also promised I would tell you my day on The Great Barrier Reef. This is a day that I will remember for a very long time. For me, it was simply fabulous! Here’s why. 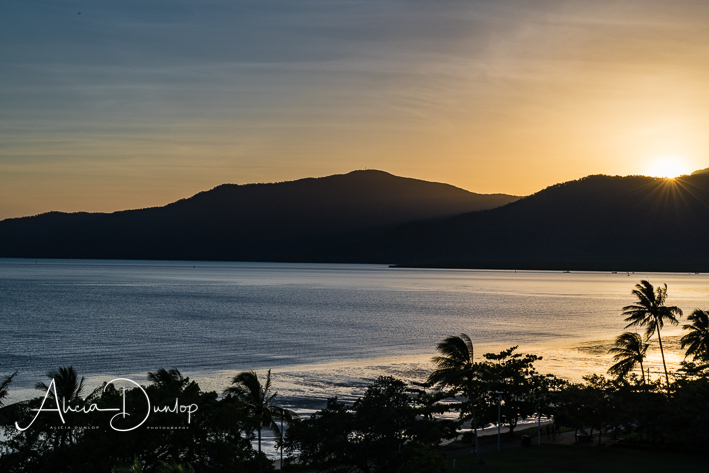 Sunrise over Cairns – a bonus for being too excited to sleep! The Great Barrier Reef has long been on my bucket list. I have always thought of it as a mystical place. Somewhere other people went to and told their stories of. I remember watching David Attenborough detailing it’s rich environment and the threats it faces. It is also a very long way from home – approximately 9,600 miles. Add to that the level of threat that is it under due to rising temperatures in the ocean, tropical cyclones and sea pests. With risks that high, I genuinely never thought I’d see it. I’d almost convinced myself I’d never get to see its wonder other than on a television screen. So, when planning a round the world trip that included Australia, a day on the Great Barrier Reef was absolutely part of the itinerary so I could fulfil this lifelong dream. I won’t lie, I would have loved to have visited the Whitsunday Islands and used that as our base. Oh the joy of walking on those white sandy beaches with cool, crystal clear water lapping over my feet with every step not to mention seeing the wildlife on the adjacent stretch of reef… this is the point when the soft music is scratched as it ends abruptly and reality strikes. I simply could not afford it. As one of the cheapest locations for accommodation I could find, Cairns would be my base for a couple of days. I wanted my adventure to enable me to learn as much as I could during the day. It had to be as eco-friendly as possible. I’ve not swam any proper distance for a long time, wanted to know that support was available if I needed it. I wanted my time on the Great Barrier Reef to be an experience I would never forget. Something I would be able to talk about with a wistful look in my eye as I relieved the memories of a fabulous experience and adventure. Cue the world wide web. I searched the internet at length to find the best option for me. could provide transfers from my accommodation. I built my own package of experiences using their website before I left the UK. 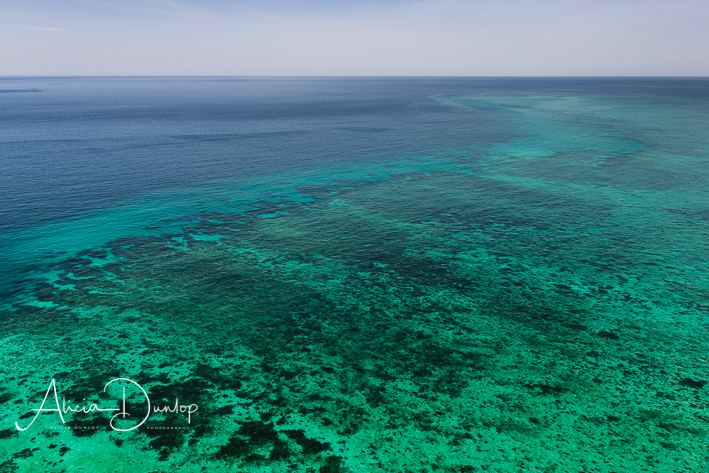 A flight over a small section of the reef in a helicopter. My first ever helicopter flight. The views were incredible! It wasn’t cheap but opting for this gave me a totally different perspective. It’s only from above you get a chance to really appreciate the scale of the reef and what is at stake if it is destroyed by the impact of global warming. 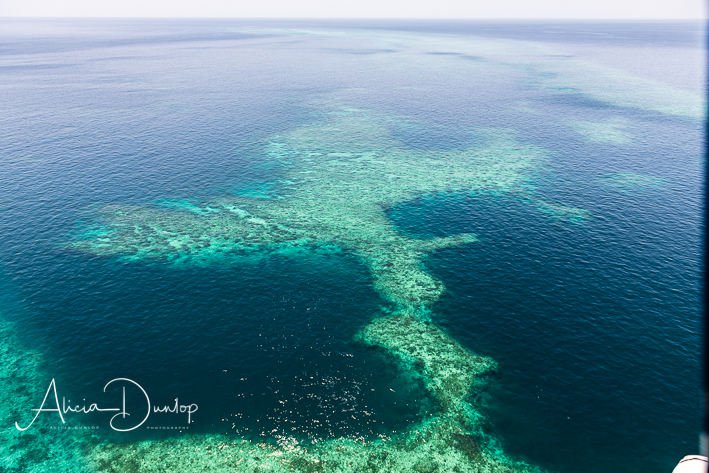 From above it is possible to gain a sense of the scale and architecture of the Great Barrier Reef. I enjoyed a half hour snorkelling session with a marine biologist. This was great as I’d never snorkelled before. This gave me the chance to learn a new skill. But more importantly the different flora and fauna were pointed out to me. I was fascinated! Who knows, maybe in time I’ll develop my snorkelling skills further – I think I will need my own snorkel first! The marine biologist gave a number of talks throughout the day. 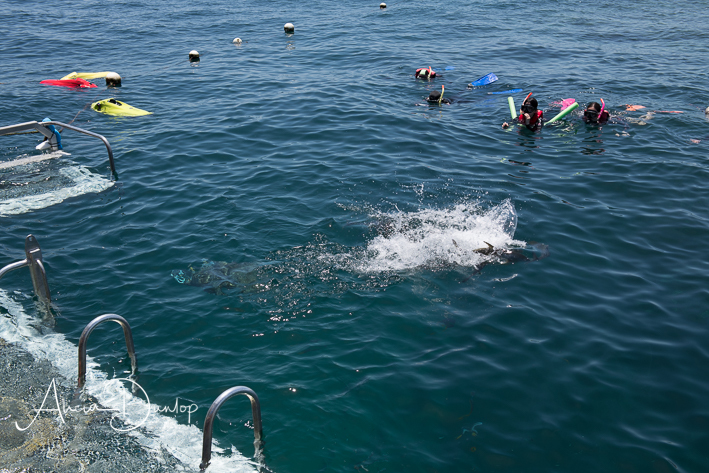 One included a ‘fish feeding session’ where she talked about the various larger fish species that we saw that day on the reef. Feeding time for the larger fish in this section of the reef – a great opportunity to learn more about the fish. I also chose to give SNUBA a go. The best way I can describe SNUBA is it is a cross between snorkelling and scuba diving. As you might expect, with SNUBA you don’t go as deep as scuba, but you have oxygen fed to you through a mouth piece that is connected to oxygen tanks that float around on the surface. It is designed to give you some of the freedom and the ability to get closer to the reef… a potential stepping stone for scuba too perhaps. I absolutely loved it! I found it so much easier to breathe than using the snorkel. That in itself made me feel I had more freedom. But the absolute highlight was meeting Wally, a huge, beautifully coloured, male Maori Wrasse. He’s a friendly fella. He allowed me to stroke him gently and I am still in awe of his size. During my day on the reef I saw a wealth of wildlife – not just Maori Wrasse. Holding a sea cucumber was a bit surreal as it almost deflated in my hand as water pored out of both ends of it! The different types of corals surrounded by tiny fish. There were clown fish and parrot fish. It really was a beautiful site. One thing to highlight regarding SNUBA… I was restricted because of the medication I take for a minor heart condition I have. This was diagnosed after I’d booked my trip. Anyway, if you are on medication, I recommend checking with your tour provider to ensure that it is safe for you to enjoy fully. The impact it had on my SNUBA experience was that I was unable to be weighted down, so I stayed pretty close to the surface and was guided (and watched like a hawk!) by a fully qualified scuba diver/guide. I still loved it! One final thing that I wanted to highlight was that during days like this you get chatting to other tourists. I was fortunate enough to meet some lovely genuine people. But one person stood out head & shoulders above the rest… Mike. A retired Chicago policeman who chatted to me while I waited to find out the order of my day as we sailed to the reef. I was so nervous about the helicopter flight, which looking back was ridiculous, but his friendly nature and open-ness put me right at ease. Meeting Mike was the icing on a fabulous day! So many happy memories – it really was a day to remember! Next time I will tell you about my Melbourne highlights. Thanks for reading! Where will your next adventure take you? Warmest wishes, Alicia.